Firstly, one of our Monocle correspondents visited Guangzhou recently (for this advertorial for UKTI), and I spotted this sequence on what amounts to the cutting room floor of Final Cut Pro. 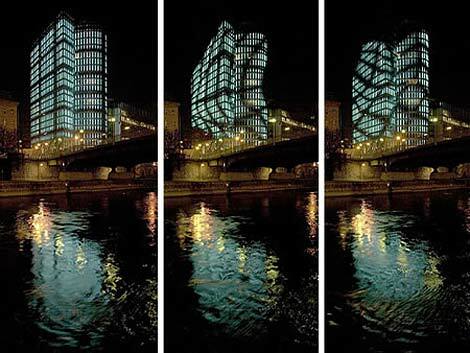 It's a series of complex expressive façades for displaying branding on waterfront buildings, indicating how the city's skyline is used at night. 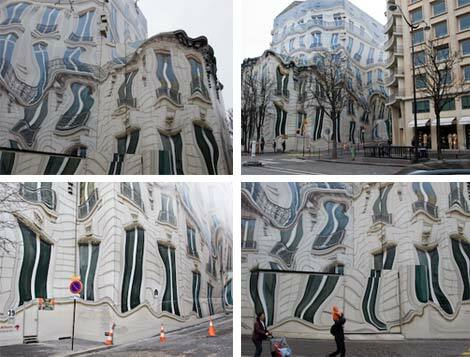 Synchronising animation across discrete buildings, using the fabric of those buildings as the screen - quite impressive, yet for all its immediate impact it's conceptually old-fashioned. It's essentially a kind of 'scripted space', like London's Piccadilly Circus, New York's Times Square or most of Las Vegas cf. Norman M. Klein's book The Vatican to Vegas: A History of Special Effects (thanks for the book, Jon). "Bizarre advertising displays – the honour guard of 50 Chinese hunchbacks outside the premiere of The Hunchback of Notre Dame sticks in my mind – were part of the everyday reality of the city, though I sometimes wonder if everyday reality was the one element missing." 50 Chinese hunchbacks? 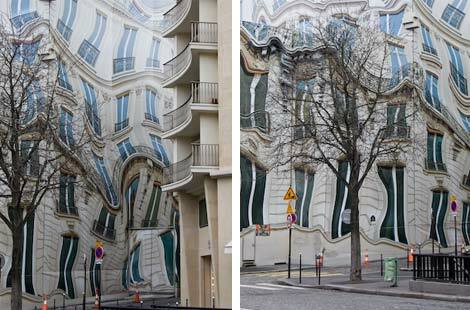 Now that's an expressive façade. Jeffrey Koh recently collated some examples as case studies for a Seoul City Wall project, from Berlin, Graz and Rotterdam. Again, variations on building as advanced billboard. 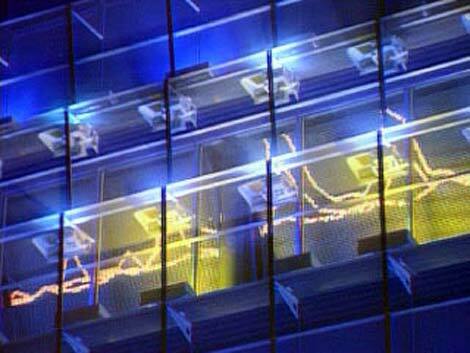 A more advanced example is CCC's work on Blinkenlights, for the Haus des Lehrers, at Berlin's Alexanderplatz. (Berlin, a city so deeply in debt it might as well be renamed Das Vegas, is clearly turning its urban fabric into a broad canvas for such things.) 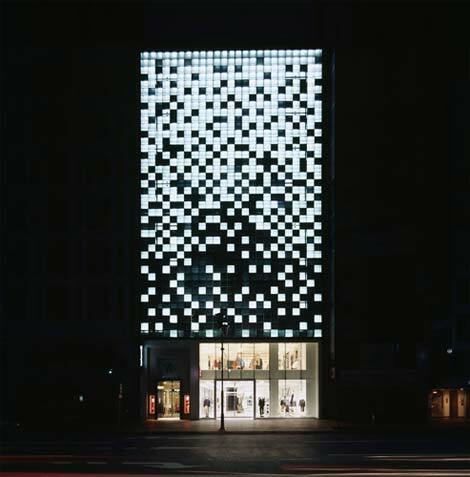 This enabled games of Pong to be played on the building's façade, controlled via mobile phone, shifting the building into interactive mode, albeit frivolously. I'm not even going to go near Tokyo with this, where seemingly every corner is replete with display. Except perhaps two examples from Ginza. 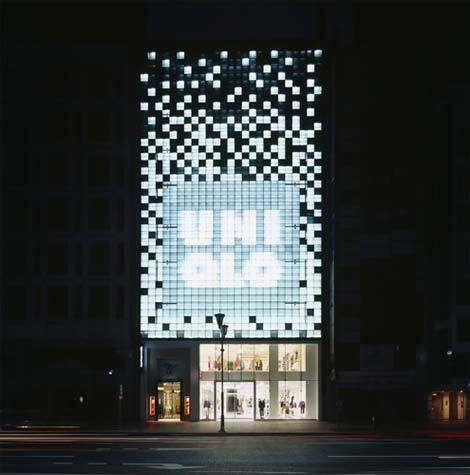 "If facades are now screens, our Uniqlo facade is a pixilated "electro-retro" version. 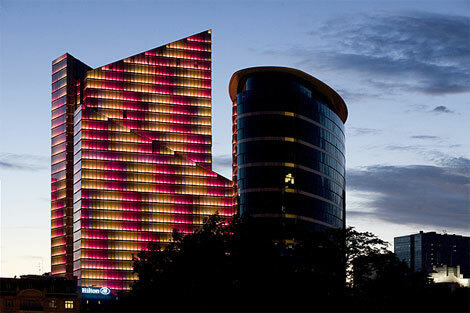 It is made up of a matrix of one thousand illuminated cells, whose luminosity can be individually controlled to produce chunky Tetris-style patterns on the facade. A mirror-finish stainless steel grid placed over this screen has the effect of breaking up and blurring off its sharp edges. 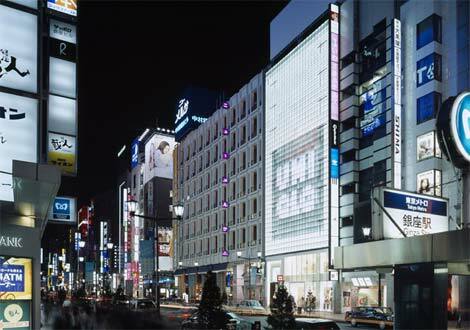 The four-square Uniqlo logo shines through all, lit up with a bright LED array. Luxury, at low-res." 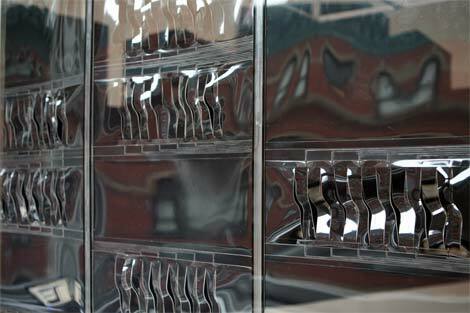 Responsive is also Christian Moeller's 'Nosy' installation, Osaki City, Tokyo 2006; there's a video on his site. 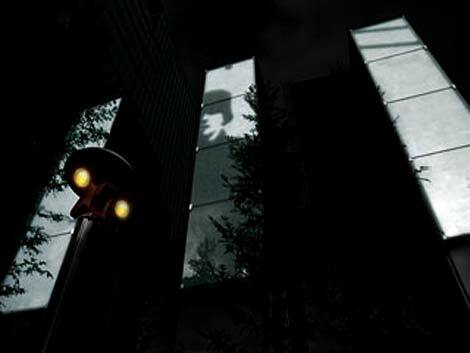 "A robotic video camera randomly captures the surrounding landscape and people, which are then displayed in bitmap graphics onto three towers covered with white LEDs behind frosted glass panels." 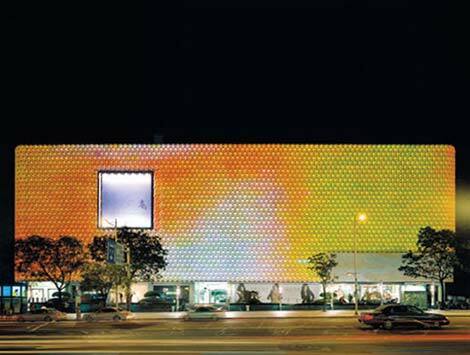 "A building façade which changes color distribution according to current weather conditions. 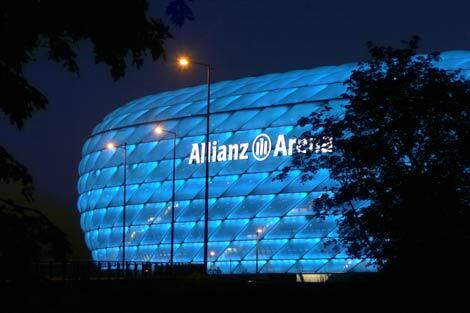 Behind a screen of perforated aluminum, 120 floodlights fade from blue to yellow, illuminating the front of the building. The overall image is directed by a weather station on top of the building: the ambient temperature (variables: 0º-30º C) determines the amount of yellow on the blue wall. The yellow patches move in line with the direction of the wind. Wind speed governs how fast they move over the surface. Rain substitutes for wind and causes patches of yellow to fall vertically. The upper area of the facade is crossed horizontally by the wide, rapidly changing line graphic (LED-Display 4m x 20m) that visualizes the noise in the street in real-time." 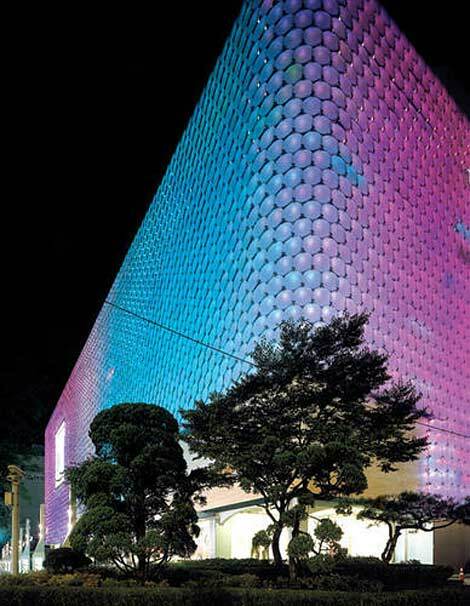 Back to expressive, and Metropolis recently profiled Arup Lighting's Rogier van der Heide, and noted his work with Ben van Berkel, of UN Studio, on the Galleria West shopping center in Seoul (winner of the Radiance Award in 2005: ). 4,330 computer-programmable glass discs, each roughly 71cm in diameter. A later installation responded to, and conveyed, weather information. As such it's akin to some of the ideas in the Personal Well-Tempered Environment. “The project displays tomorrow’s temperature, cloudiness, precipitations, and wind, by using colors and geometrical patterns to visualise these data. A color-code corresponds to tomorrow’s temperature compared to the monthly average, linked to a scale of color-temperatures ranging from violet (-6° or colder), blue (-4°), cyan (-2°), green (monthly average), yellow (+2°), orange (+4°) to red (+6° or warmer)"
For some reason, a perennially popular post at City of Sound has been the brief note I wrote marking Herzog & DeMeuron's Allianz Arena in Münich, a stadium that has an EFTE-based façade that shift colour to white, red or blue in order to display which team is playing at home - it "communicates status at a glance" as I wrote at the time. These last two - the Dexia in weather-forecasting mode and the Allianz - both have a sense of utility allied to delight. "It works incredibly well. Located just down George V about a block from the amazing Louis Vuitton building on the Champs Elysée. 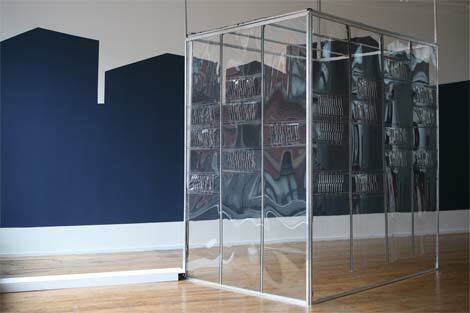 For most of my approach toward its profile I thought it was a huge plexi mirror offering great photo opportunities. The illusion is so persuasive it makes objects in the foreground seem distorted as well." So despite the simplicity of the idea and realisation, it's still a façade that powerfully affects, even changing perception. Shifting gears slightly, we have Brisbane Girls Grammar School Creative Learning Centre by the city's own m3architecture. 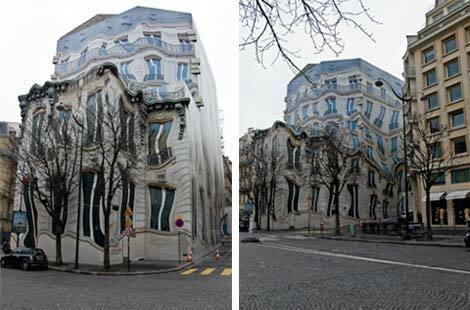 This building is getting lots of attention in Australia, quite rightly. More importantly it came first in The Architects' end-of-year 2007 poll. 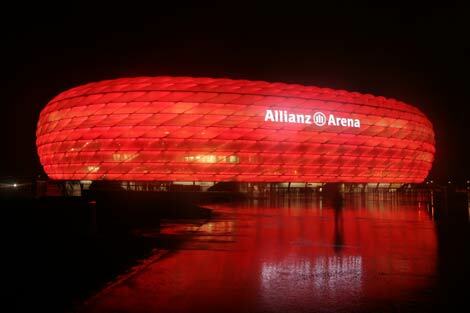 It's a wonderful building all round, by all accounts, but the façade is extraordinary. This finds a new way to deal with the fierce Australian sun, first and foremost, as well as demarcating the new centre from the surrounding late-19th century buildings. 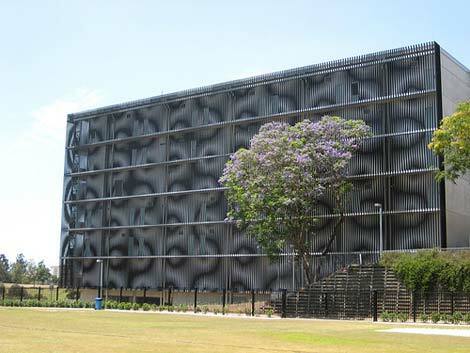 The entire façade not only features, but is comprised of, a giant moiré effect on the side facing the busy six-lane Inner City Bypass, busway and railway line, which all snake alongside the school grounds. 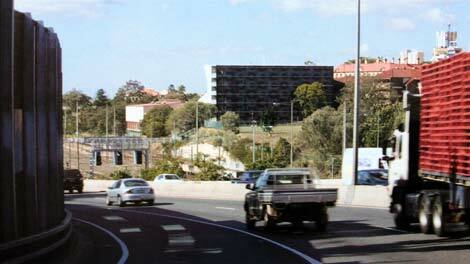 "The western face, visible at some distance from the highway, theatrically engages with the movement of the traffic. 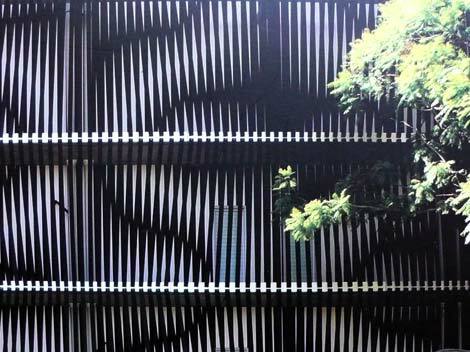 Using an outer sunscreen of bronze anodised aluminium slats against an inner wall of white with black vertical stripes, a moiré effect is triggered. The building appears to melt and wobble in circular waves as the viewer passes, leading some puzzled locals to inquire of the architects as to its mechanics. From a position on the highway where both the 1880s buildings and the new building come into view, the ovoid forms of the optical illusion neatly align in height and radius with the arched upper storey windows of the old brick building. The optical facade also forms the edge of the playing fields of the neighbouring Brisbane Boys Grammar and one can only wonder what this mirage of undulating curves does to the feverish minds of some teenaged boys." Obviously, photos don't do it justice (those above are from the Architecture Australia article). There's a video of the moiré effect on a scale model on the m3architecture site - I'll try to get a video of the thing in situ when I'm next up. I got the bus past this at Christmas and can confirm that the effect truly works. As you drive past, the entire six-storey wall appears to open up and revolve gently. It's just subtle enough that it's unlikely to cause accidents - one hopes. There's little or no description of this effect in m3's write-up of their project. You might extrapolate from the central idea of 'making connections' to see how that would relate to connecting to the transit running alongside the edge of the school. (Equally, I half-wonder if it might be inspired by the everyday moiré effect conjured by the ubiquitous domestic flyscreens over windows here in Australia.) It's responsive, in the sense that your movement past the building causes a visual transformation, but interestingly it's essentially a 'special effect' using the characteristics of material rather than a programmed projection onto skin. It's an inherent quality of the fabric itself, and in that actually more advanced than all those Ginza-style examples above. Works in daylight, too. 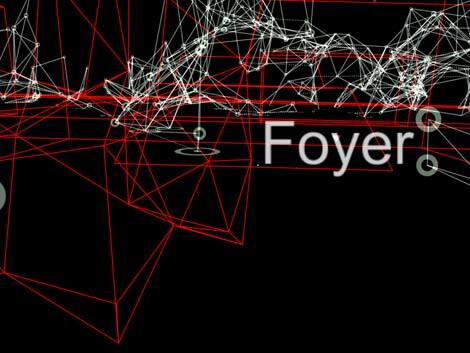 A quite different approach - technically, physically, conceptually - is provided the Corpora in Si(gh)te augmented-reality façade, by doubleNegatives et al. It's extraordinarily lovely. 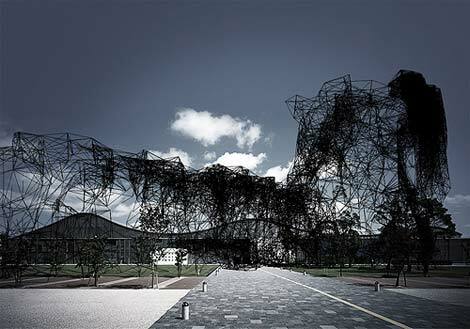 It's a responsive system, creating an entirely virtual architecture conceptually overlaid onto the Yamaguchi Centre for Arts and Media, responding to environmental data in real-time. "In "Corpora in Si(gh)te" a number of sensors are setup forming a mesh network throughout the area of YCAM in order to collect and distribute realtime environmental information such as temperature, brightness, humidity, wind direction and sound. 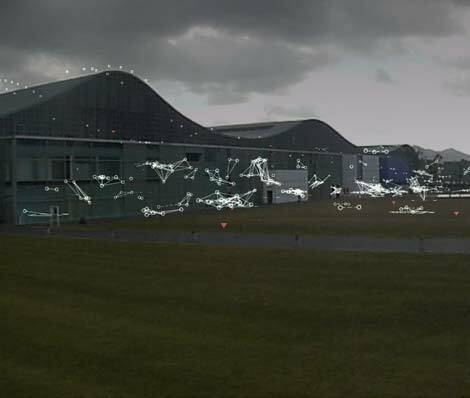 The data collected from these sources are processed by a software and translated into nodes reflecting the sensor network. These nodes are the seeds for the virtual architecture of "Corpora" representing a cellular, distributed network of nodes that are reacting through realtime processing, growing and subsiding like an organism. 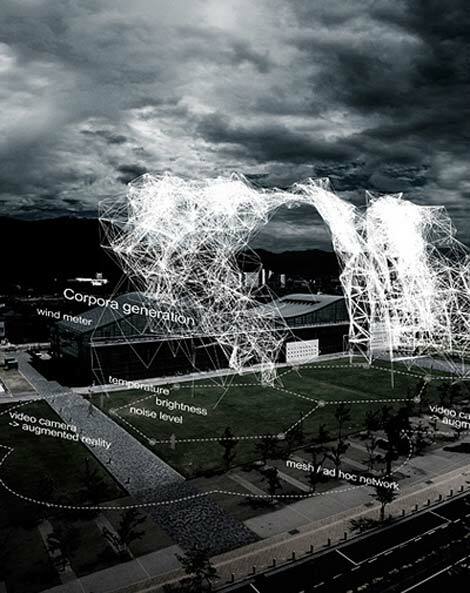 Each node makes local decisions independently of a central architect. The nodes inadvertently give rise to an architectural structure, both in the YCAM building and in the park. This "information architecture" of nodes has its own spatial perception to make itself transform into various forms by relying on the super-eye concept. The fluid character of this architecture occurs as a living form. Visitors can observe this process by Augmented Reality Technology, located in various parts of YCAM." This façade can radically alter scale, form and state in response to its environment, as it doesn't physically exist (except for a model in the foyer). The fact that it's augmented reality is interesting, though. It embodies the idea that the data around the building is actually another façade; indeed, the informational weight and density of this façade would be far more significant than its physical façade, through some lenses. It suggests an architecture which is purely informational, yet not without an implied physical form and graceful aesthetic. "By exploring different patterns of movement, and thickening, stretching and contracting of material, they are able to build a transparent wall with louvred "gills" across its surface. These gills open and close when a wire contracts, in response to some sensory input (they used infra-red but it could've been any of a number of stimuli). The end result is that the 'glass' membrane actually opens up when people approach, in order to let fresh air in. They demo this in front of the Postopolis! crowd, and it's truly impressive. It literally draws a gasp from the audience. 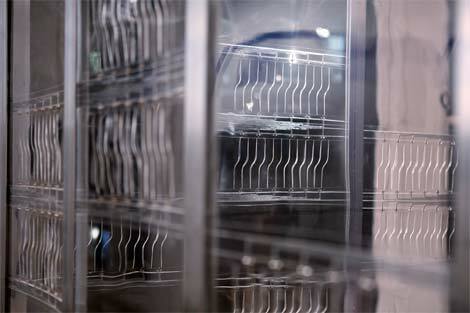 The transparent glass louvres bend and twist open as Benjamin breathes on the surface. It's a lovely movement, far more organic than mechanical (although this is work that blurs concepts like organic and mechanical together.)" They've now constructed an ecosystem around the living glass, such that it can respond to environmental conditions across buildings, even physically disconnected buildings. There's far more to say about their work, in terms of the ideas of open APIs between buildings that I also drew upon for PWTE, or their far-sighted approach to platform-building rather than building-building. But the façade they've built as the manifestation of the ecosystem is also lovely, technically impressive and powerfully imaginative. The facade isn't a displaced window onto the system; it is truly the system's interface. 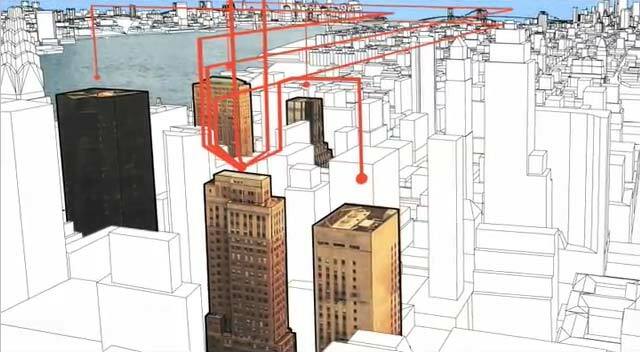 Deployed, with some chutzpah, on the Empire State Building and the Van Alen Institute building, the sensor network enables these two buildings to 'talk' to each other, sharing data as to their state and that of the surrounding environment. "With the facade as a location of data sensing, of communication, and of responsive performance and display, the city acquires a new layer of interactivity." 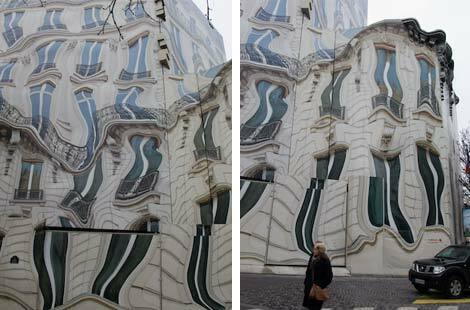 In this, the building façade melts into the public space around it, its structure dissolving in the behaviour of the city. As such, the façade becomes more powerful than ever.